After the Series 5 GT arrived the Series 3 GT, a model that was placed between what was being the body saloon and the touring. If you wanted something more pulling a saloon but that was more practical than a Touring you had to go to a GT and the truth is that in versatility and space, had no rival in the Series 3. Interestingly, a Series 3 GT has more space in the rear seats than a Series 5. The strongest markets are China, Germany and the USA. UU. In Germany, almost one of every six BMW 3 Series vehicles sold is a Gran Turismo. To focus on, compared to the BMW 3 Series Touring, the BMW 3 Series Gran Turismo is 200 millimeters longer and its wheelbase is 110 millimeters greater. In addition, the model is 81 millimeters higher. These dimensions make the BMW 3 Series GT the most livable Series 3 without giving up a standard aesthetic. Under the large rear hood is the boot, which offers a volume of between 520 and 1600 liters and great variability. As if it were a BMW 3 Series “limousine”, this new length has repercussions in a greater space for the rear seats that now is huge. In addition, the large electric tailgate similar to that of the BMW 4 Series Gran Coupé makes the model the most versatile Series 3 today. The renewed BMW 3 Series Gran Turismo is available from July 2016. The model now equips the new standard LED headlamps for dipped beam and long light, as well as the LED fog lights. The rear view also comes with a more energetic look thanks to a later LED driver. The redesigned rear skirt and the increase in the diameter of the final exhaust pipes are the icing on the back. Quality is improved with shiny black surfaces and galvanized and chrome details. Customization is reinforced with the Sport Line, Luxury Line and M Sport models. Two new exterior colors are added, three new tire designs and more selection possibilities in upholstery and interior trim. The latest version of the Professional navigation system arrives. The representation of the most important positions of the menu in the form of mosaic of clear layout makes the operation even more intuitive. 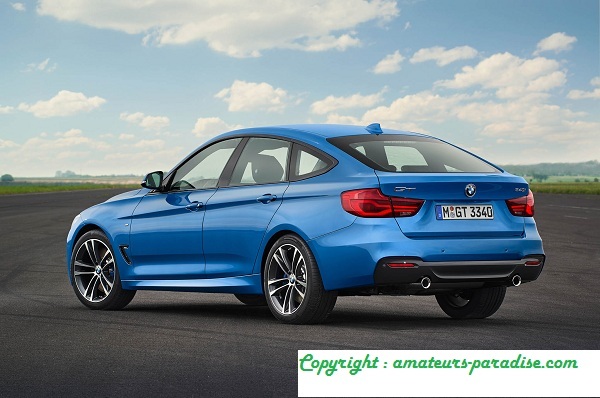 In total there are 1 8 variants of engine, gearbox and drive of the BMW 3 Series Gran Turismo. Combined CO2 Emissions: 141-134 g / km). 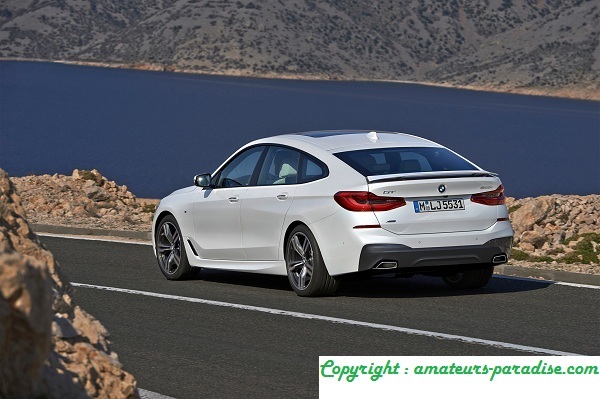 Another innovation is the fully-aluminum group with six cylinders of the BMW 340i Gran Turismo, with a power of 240 kW / 326 hp (combined fuel consumption: 7.3-7.0 l / 100 km; combined CO2 emissions: 166 -159 g / km). Diesel engines: The new 325d Gran Turismo equips the 4 cylinder engine with two liters of displacement and multi-stage load with two turbochargers has a power of 165 kW / 224 hp and is offered as standard with Steptronic (combined fuel consumption: 5, 0-4.7 l / 100 km, combined CO2 emissions: 131-124 g / km). 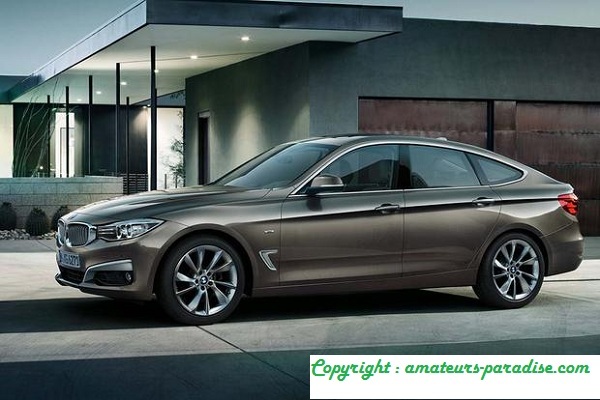 The rest of the new 4-cylinder diesel engines are already used in the BMW 3 Series Gran Turismo since the model update of the BMW 3 Series Sedan and Touring in the summer of 2015. In total there are five diesel groups of between 110 kW / 150 hp and 230 kW / 313 hp in the program (combined fuel consumption: 5.7-4.3 l / 100 km combined CO2 emissions: 151-112 g / km). All the mechanics are diesel or gasoline can equip total traction xDrive. Integration of mobile phones via Bluetooth in the BMW 3 Series Gran Turismo comes standard. Now, by means of an inductive base, the suitable smartphones can be loaded optionally also wirelessly and connected to the outside antenna. This equipment also contains a WLAN access point and a second USB connection on the center console.